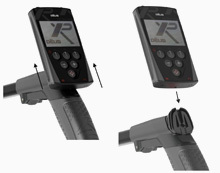 XPDeus, the latest and greatest technological advanced metal detector in the industry. **Now ships with the X35 9" DD Coil!! Lightweight and compact: extend or fold away in seconds. An all digital design means that there is now no need to buy multiple detectors for different types of treasure hunting. You can adjust every characteristic of the DEUS. Choose your frequency from the preset options of 4 kHz, 8 kHz,12 kHz and 18 kHz. Choose from one of 10 preset factory programs or one of 8 user customizable programs and start detecting. The DEUS is simple to use for a beginner and provides advanced options for experienced users. 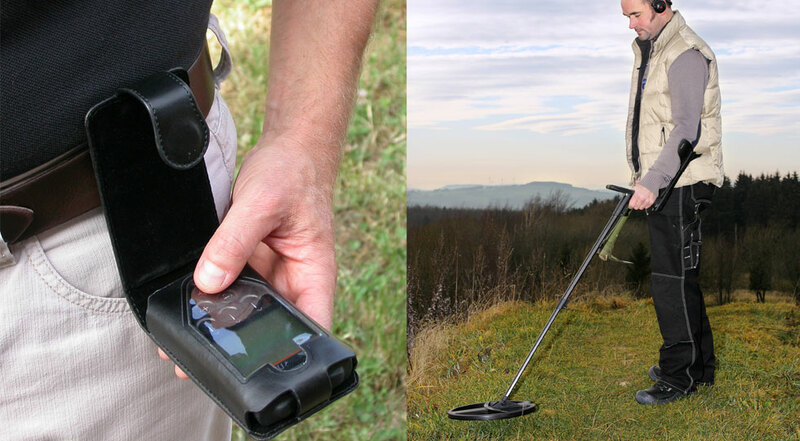 Designed and custom molded specifically to endure the rigors of metal detecting. 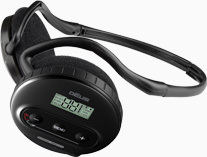 The electronics, digital LCD display and controls are encapsulated in a weatherproof disc on one side of the headset. Just slide the electronics off and snap on a new headband at any time. Control the most important features of the detector through the headphones: Ground Balance, Frequency, Discrimination, Sensitivity, Volume and Custom Programs.